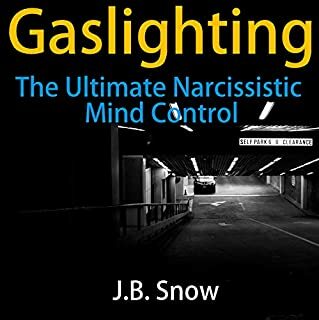 My readers and listeners write to me on a regular basis, often entangled in relationships with narcissists, which is both toxic and addictive at the same time. They struggle to get out of the relationships, but the cognitive dissonance of the narcissists pulls them back in. Narcissists are nice at times, and then they are critical, rigid, and self-absorbed at other times. They both intrigue us and disgust us at the very same time. 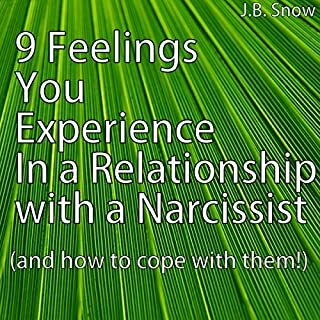 Life with a narcissist is daunting, harrowing, and unpredictable. He is self-absorbed, self-sufficient, and self-serving. He is haughty, arrogant, and oblivious to your wishes, desires, dreams, and goals. He is rude and envious toward others. He has terrible behavior and even worse manners. He is untrustworthy and incapable of any true and consistent feelings worthy of anyone else's attention. Life with a narcissist is all-consuming, isolated, and draining. 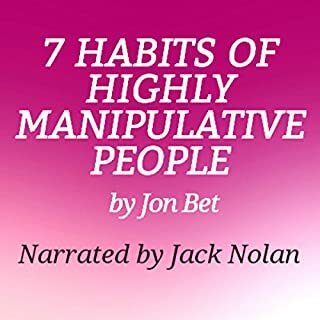 He is lacking any adult skills or abilities to meet another person's needs, and so he misbehaves and acts out in order to take your attention away from his all-consuming deficits. He is truly only half of a man - and maybe that is generous. He often falls through on his responsibilities to you, up to and including simply meeting your sexual needs. Why do women run to these men in droves? 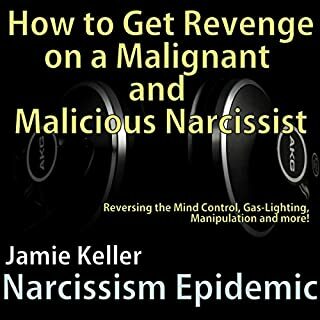 What causes them to drop at the feet of narcissists, seemingly begging for their punishment and negative behaviors? Download now to hear more! There is no really a story. Quick bullet points. Which were helpful. Very intelligent writer. Knows her stuff. Took me like 10 min to listen to it. Wealth of information. A short but informative book that has the reader reflecting upon one's self. 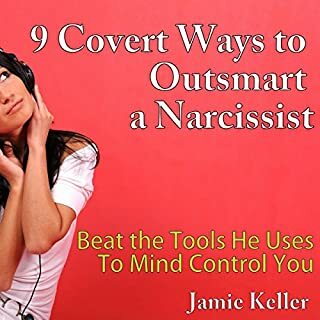 It gives several explanations as to why the reader may be attracted to as well as attract a narcissist rather than focusing solely on the behaviors of the narcissist. The narrator is both articulate and engaging in her performance. very informative. this book was short and to the point. I really enjoyed it. thanks. Simple to the point. Enough to raise an eyebrow. Love the "just how it is" attitude and short enough to repeat, take notes and dig into another avenue of recovery. Easy what's wrong. Makes it easier to discover what could be right. It's short and doesn't go too much into detail but I believe it can definitely open.ones eyes to some behaviours that need to change within. Wouldn't pay more. It could be any woman really. These short books are enticing like the celebrity gossip magazines but no value to self growth. 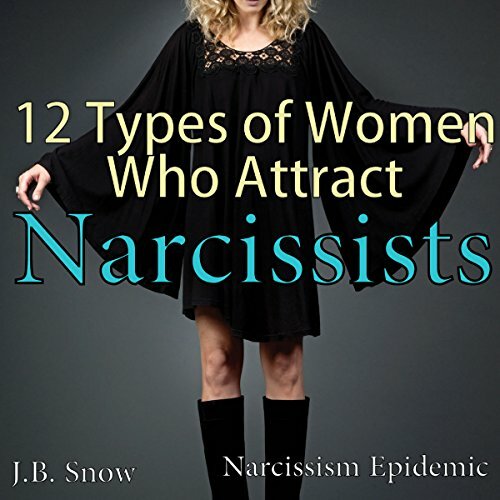 What disappointed you about 12 Types of Women Who Attract Narcissists: Narcissism Epidemic? It was very superficial and simplistic. The issue deserved more depth. What could J.B. Snow have done to make this a more enjoyable book for you? 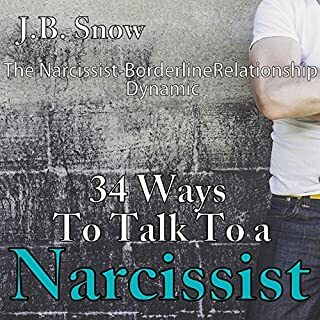 Not the most informative book about narcissism out there.